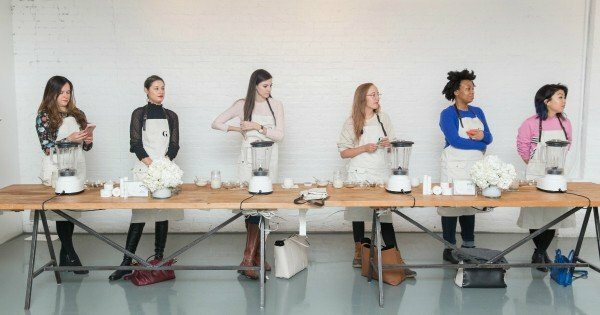 Cargo Crew: The Aussie designers behind Goop's uniforms. The awesome Aussies behind Gwyneth's Goop uniforms. 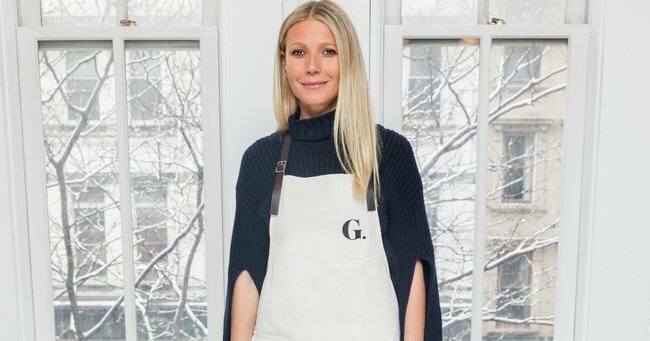 Yes you read it right – our favourite super-healthy lady Gwyneth Paltrow wears a uniform. And believe it or not (just like Bey) she chose it from the hipster mecca of Melbourne. From humble beginnings in a one bedroom flat in inner city Melbourne, Australia to dressing Gwyneth Paltrow at her first skincare brand launch… Cargo Crew has just experienced what online business dreams are all about! When Goop’s event team went looking for a uniform for Gwyneth, they scoured the web for just the right look. 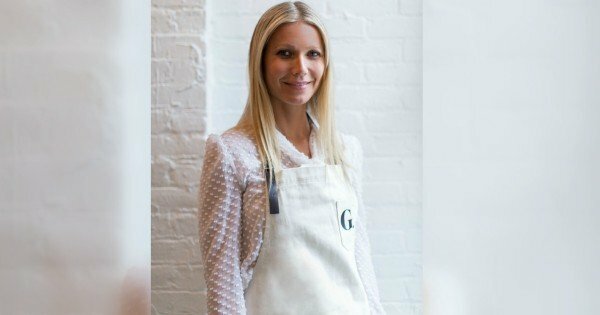 Cargo Crew was handpicked by Paltrow and the Goop team to supply the Otto apron from their designer uniform range for Gwyneth and the most influential New York beauty editors. They were worn at the Goop Skincare launch in New York last week. 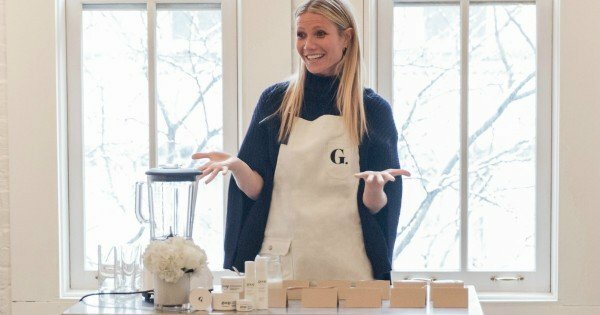 Gwyneth and her guests were all wearing the Cargo Crew aprons while they were making good clean Goop smoothies and taking fun snaps in the onsite photo booth. Image: Supplied via Cargo Crew. The Goop skincare range was complimented perfectly with the neutral hue of the Cargo Crew Otto apron and customised by Cargo Crew with the Goop brand G motif. Would we expect anything other than simple chic for our gal Gwyneth? Founded by former fashion designer Felicity Rodgers in 2002, Cargo Crew has flourished since launching a contemporary uniform range which has disrupted the once bland and predictive uniform industry. “We are building a brand that Crews around the world are pleased to wear and have focused our energy on creating original, design led products that work to enhance and compliment a business’s visual identity and language – we call it The Modern Uniform. With an ever growing online presence Cargo Crew’s international business has grown over the recent years with the range now being exported to over 30 countries. 2015 was also quite a year for them, taking out the winners title for the Telstra Small Business Award for Australia. The business operates from their inner city Melbourne, Brunswick East HQ and is managed by Felicity Rodgers – Founder and Creative Director, sister Narelle Craig –Client and Marketing Director and Felicity’s husband Paul Rodgers who is Director of Operations.